Recently I was blessed to hear music in the wonderful Ryman auditorium. I was fascinated about the roots of this so called “Mother Church of Country Music”. The Ryman was built as a place for ministers to preach the gospel, but both the man that built it, and the man that it was built for had rowdy beginnings. The Ryman was built by Captain Thomas Ryman, a very successful owner of river boats. In 1885 he had a fleet of 35 riverboats. Ryman became angered by the sermons of a very vocal gospel preacher named Rev. Samuel P. Jones who was preaching on the evils of the bottle and gaming. These sermons were hitting their mark and they were cutting into Captain Ryman’s profits. With a plan to “raise a ruckus” at one of the Reverends sermons, on May 10th at the age of 44, Captain Ryman and a few of his friends set out to cause trouble at Reverend Jone’s tent revival. What Captain Ryman had not counted on was that Samuel Porter Jones, the now famous evangelist was convincing because not only did he believe the gospel he preached, but he had lived the life of one addicted to alcohol. Son of a lawyer, Reverend Jones followed in his father’s footsteps and became a lawyer as well despite the fact that his great-grandfather, grandfather, and four uncles were Methodist ministers. So deeply into drink was Jones that he destroyed his legal career and when begged at his dying father’s deathbed he promised to quit drinking. The faith of his youth sustained him and in 1872 after promising his father that he would quit drinking, Jones became a minister. When Captain Ryman heard the sermon that Rev. Jones preached, he was so inspired by his words that he pledged that Rev. Jones would not have to preach in a tent anymore. He went on to build what was then the Union Gospel Tabernacle and would later be renamed the Ryman Auditorium. The night we were there, we heard a bluegrass band called the Isaacs sing “Blessed Assurance Jesus is Mine” in acapella so beautifully it brought tears to our eyes. Music like that I am sure would please the men that beget the Ryman. 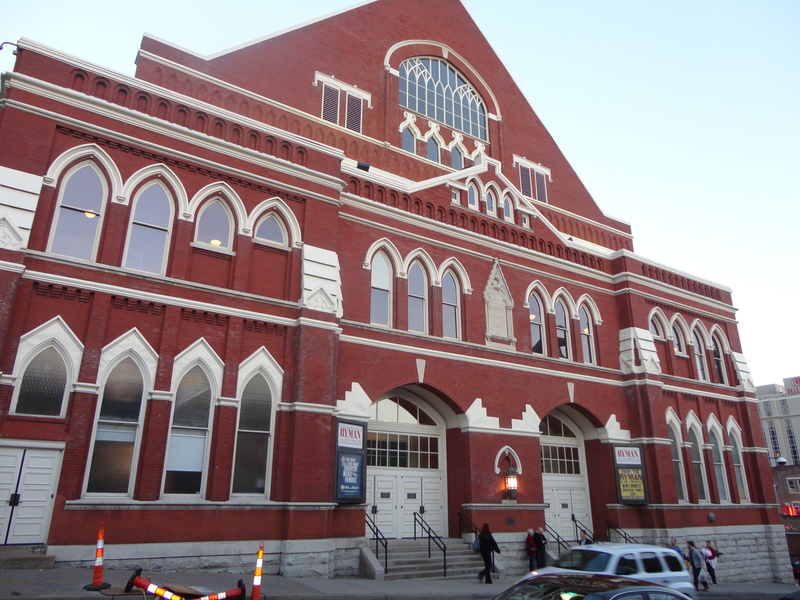 For details about the Ryman and show information, log onto http://www.ryman.com.